The Girl Name of the Week comes to us in honor of this week's "Spanish Names For Girls" list. I have to admit that I had a very hard time choosing just one name to feature since so many of them stood out to me. I finally decided on Catalina, pronounced kah-tah-LEE-nah. From the earlier Greek name ‘Εκατερινη (Hekaterine) which came from (hekateros) meaning "each of two" which is similar to the goddess Hecate's name. From the Greek αικια (aikia) meaning "torture" which is obviously not ideal. From a Coptic name meaning "my consecration of your name." Eventually, these were put on the back-burner and Katherine solely became associated with the Greek καθαρος (katharos) meaning "pure." To ensure that this would be the most popular meaning, early Christians changed its Latin spelling from Katerina to Katharina. As for Catalina, it seems to be used most often in geography. There is a city in Arizona, an island off the coast of California, and another island near the Dominican Republic, just to name a few of the many. As a given name for girls, it is used all over the Spanish-Speaking world including actresses and musicians and athletes from Argentina, Cuba, Colombia, Ecuador, Chile and Mexico. There are several Catalinas from Romania as well since they use the same spelling. Let's look at the stats! 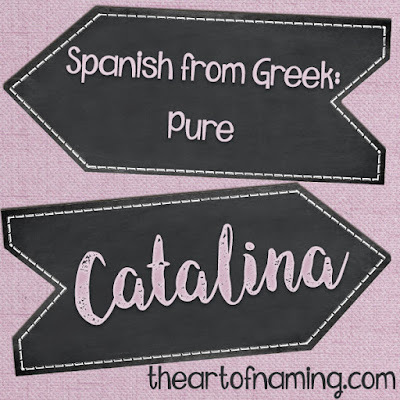 Catalina has been used in the States since 1893! It remained in the double-digits for births until 1974. It broke into the Top 1000 in 1989. Slowly but surely, more and more girls receive the name every year! As of 2013, there were 773 girls given the name which ranks it at #395, a brand new record-high! Revision: As of 2016, Catalina ranked at #314 for a total of 1,024 births on record. I think it is gorgeous! 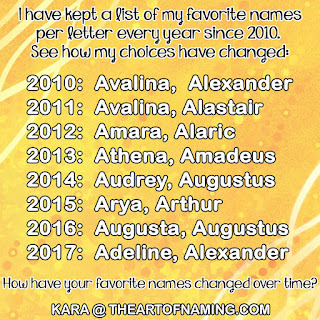 I would use this instead of Catherine or Katherine and use the classy nickname Kate, the cutesy nicknames Cat or Cata (cah-tah) or the lovely and unique Lina. Whether you have any Spanish roots or not, what do you think of this lovely name? 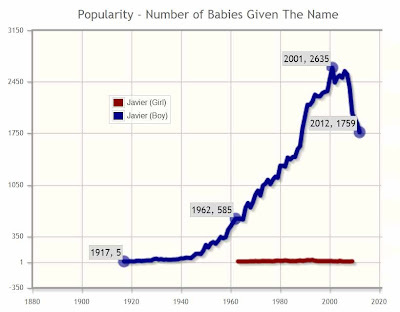 The Boy Name of the Week comes straight off the list of Spanish Boy Names: Javier! 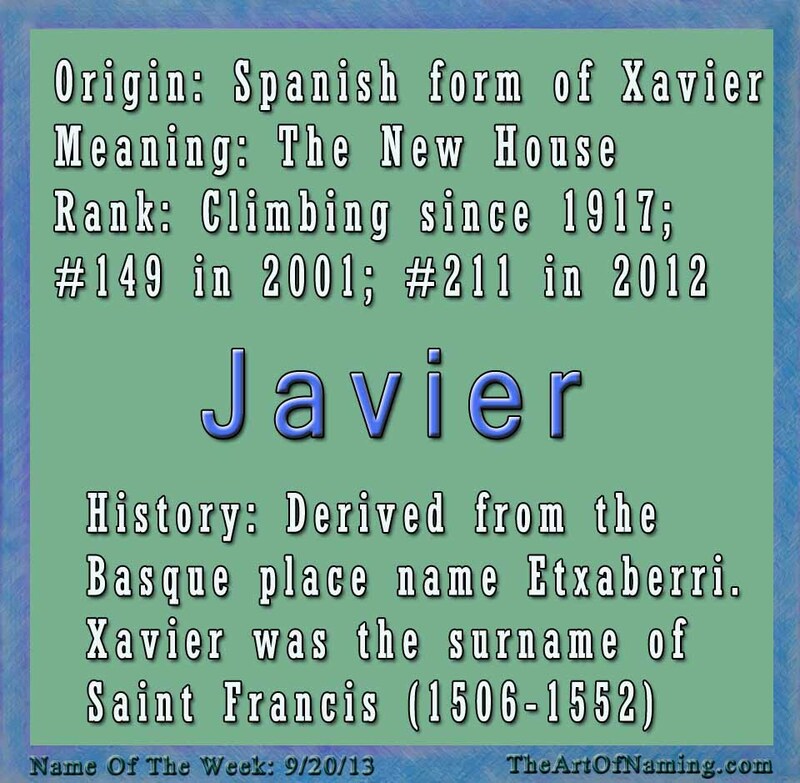 Javier is the Spanish form of the name Xavier. 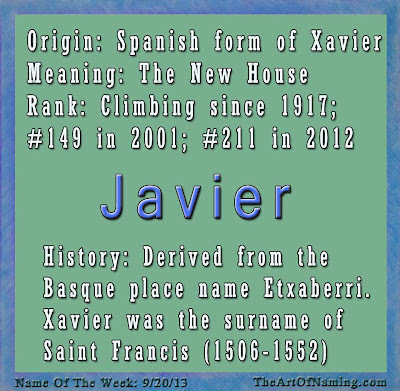 Both of these names come from the Basque place name Etxaberri which means "the new house". Over time, it became Exaberri, then dropped the beginning e and final i. The X was originally pronounced with more of a "sh" sound. With influences from English, French and Spanish, pronunciation varies. Javier is typically pronounced the Spanish way "hab-YAIR" with a sort of combined b and v sound. In Portuguese, it still has a "sh" sound in place of the X. French would say HAV-ee-ay, and in English it is most correctly said ZAV-ee-er even though famous characters like Charles Xavier from the X-Men comics have influenced the pronunciation of X-ay-vee-er. A notable Xavier was St. Francis Xavier, or San Francisco Javier in Spanish (1506-1552). Once he gained fame as a Jesuit priest and missionary, many places and people were named after him and therefore Xavier and Javier also gained popularity. Javier was a place (town? city?) within the Kingdom of Navarre which was located between present day Spain and France on the Spanish side. Javier has been used in the US since 1917. It has gained popularity on a strictly upward trajectory until its usage began to decline after its high-peak in 2001. 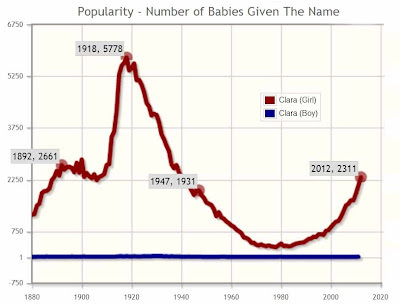 There were 2,635 boys born with the name, ranking it at a high of #149. 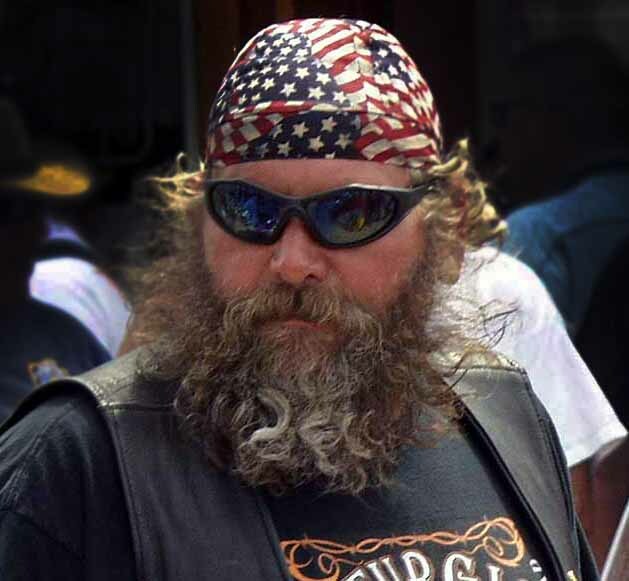 In 2012, it ranks at #211 with 1,759 births. 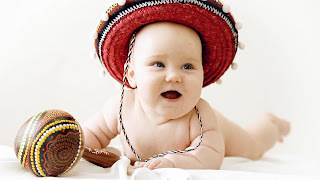 Spanish baby-naming traditions vary slightly from country to country, but overall, they are very similar. These customs appear in Spain, Mexico, certain islands in the Caribbean, Central America, and South America. The latter four are grouped together and called "Hispanic America." In Spain, people today tend to bear a single given name and two surnames, or perhaps a "composite first name" like Juan Pablo followed by two surnames. The first surname is the father's first surname, and the second is the mother's first surname. Occasionally, the father's and mother's surnames could be reversed, but every sibling must have the same two surnames in the same order. It is so important that if the parents cannot agree on whose surname goes first, it is taken to court for an official to decide. For example, if a man named Alberto Sanchez Hernandez and a woman named Maria Ruiz Gonzales have a son named Eduardo, the child's name would most likely be Eduardo Sanchez Ruiz. If his child were to be addressed formally (Mr. or Señor) Eduardo Sanchez Ruiz, he would be called Señor Sanchez or Señor Sanchez Ruiz, but he would never be called Señor Ruiz. Sometimes, the first name would be used with the title "Don" as in Don Eduardo, but that is a fading custom. Hispanic American naming customs are very similar to the traditions that are practiced in Spain. Many of them do have the "composite first name" which is basically what Americans think of as a first and a middle. They continue the surname tradition, using one paternal and one maternal. They do not have "middle names." In the past, traditions varied a bit. I'm sure you have heard of Spanish names that are incredibly long. For example, there is the Saint Teresa de los Andes whose real name is Juana Enriqueta Josefina de los Sagrados Corazones Fernández del Solar. "Juana", "Enriqueta" and "Josefina" are her first names, followed by the second name "de los Sagrados Corazones" which reflects where she is from. Her paternal surname is "Fernández" and her maternal surname is "del Solar". Sometimes "de" or "del" or "de los/las" will be used in a name. Like the example above, it denotes a geographical origin of the individual or of their ancestors; for example, Juan Ponce de Leon. Other instances where this occurs include "martial conjunctions" where the wife drops her maternal surname and adds her husband's paternal surname. Ángela López Sáenz, as wife of Tomás Portillo Blanco, would become Ángela López de Portillo. However, this is very frowned upon in many places since it is custom for a woman to keep her birth name. In Uruguay, it is the law to use two surnames. 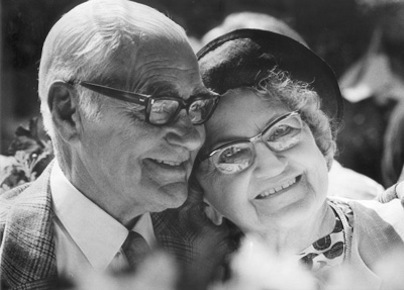 In Argentina, the use of two surnames is legally accepted, but often only the paternal surname is registered in the birth records, (or the maternal if there is no recognized father.) So it is common in Argentina to refer to someone by a single surname. Of course there are always special exceptions. This common 2-surname tradition tends to get confusing when applied in the United States because laws in the US operate on the assumption that everyone has a first/middle/last name. The pattern of first/last/last makes documents and paperwork very difficult since the US sometimes tries to make the paternal surname a "middle name" and the maternal surname a "last name", which is incorrect since the officially recognized last name in Hispanic culture is usually the first one, the paternal surname, and the maternal one is ignored. Let's talk about first names now. Parents are typically allowed to choose anything, but most will opt to honor a relative or a saint. The first part of the composite first name generally reflects the child's gender but the second part may not. For example, a boy named Jose Maria to honor Saint Mary. I have a female ancestor in my family tree named Maria de Jesus. This is rather common. Most girls are given the first name Maria because of strong belief and respect for the Virgin Mary. Many Marias have the second part of the first name corresponding to a religious concept like Maria de la Luz (Mary of the light), but in daily life, many women will drop the Maria prefix and use the suffix portion as a social name, even though the whole thing is their legal name on paper. So she may go by Luz primarily, however addressing her as Maria is accepted. Sometimes nicknames or diminutives or what we might call a "smoosh name" is used, such as Marisol for "Maria (de la) Soledad. These smoosh names are rather common for both genders, whether it be a given name or strictly a familial nick name. If the girl's name includes a masculine honor name as the suffix, like Maria Jose in honor of Saint Joseph, she may be informally called Marijose, Majo, Josefina, Fina, Pepa, Pepita or Marise. For a boy named Jose Maria, Maria is often abbreviated. So he would be Jose M. Reyes or Jose Ma. Reyes. 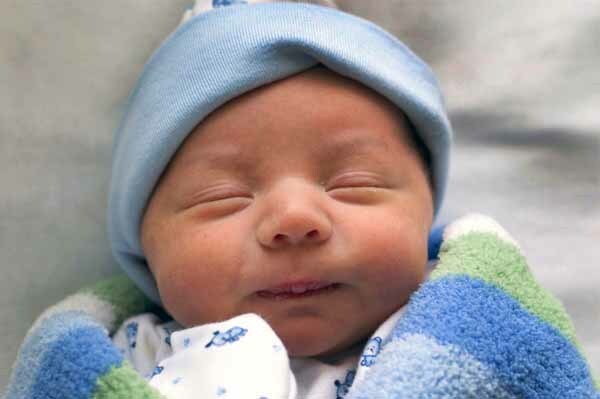 The Civil Registry will record the child's name as a forename and two surnames, however a child can receive an entirely different baptism name like Pedro Jose Froilan de Todos los Santos. This type of name has no legal significance and is generally only used families of royalty or nobility. I'm sure there is so much more information that could be addressed about the customs of Spanish and Latino baby names, but I think I will stop there! I am of Hispanic descent but the lineage has been Americanized that we do not follow these customs. I have an Irish maiden name, so I received a regular first, middle and last, none of which are considered Spanish. However, my husband's name is technically first/mother's maiden/father's surname, but with American customs applied, his mother's maiden name is basically considered his middle name. What about your family? Traditions seem to get a bit jumbled up in the US. If you have Hispanic roots, do you have a traditional Latin name or an Americanized one? Let me know in the comments below! If you are looking for first names that generally work well on Hispanic babies, take a look at my lists page. I have made long lists for both boys and girls! I'd like to share this wonderful list of names that generally work very handsomely with a Hispanic last name. Most of these options are rather exotic and have a unique flair to them. Which are your favorite? Stayed tuned for Wednesday's interesting article about Hispanic Baby-Naming Traditions, and next week's list of Spanish Names for Girls! What do you think of this list? Are there any names that you would add? Which is your favorite? There are many baby-blogs and celebrity-blogs and just general news sites that love to nitpick the monikers chosen by celebrities. The most obvious recent example is Kimye's baby North West. It basically "went viral" and everyone was talking about it. Unfortunately, due to its "punny" nature, most of the talk wasn't on the up-and-up. Contrary to popular belief and stereotypes, many celebrities actually choose normal and lovely names. However, those are the ones that tend to get overlooked. As a media-driven society, we only remember the odd ones that fuel jokes on talk-shows. So while we remember names like North West, Blue Ivy, Pilot Inspektor, Apple, etc, don't forget that there are also gems to be found in Hollywood. 2013 isn't over yet, but there have already been some lovely choices! I'll report on those after the new year! I'm sure there are some that I've missed from 2012, but which of these are your favorites? The Girl's Name of the Week comes straight from this week's list of top baby names from Switzerland: Clara. It ranked at #8 in French-Speaking Switzerland. 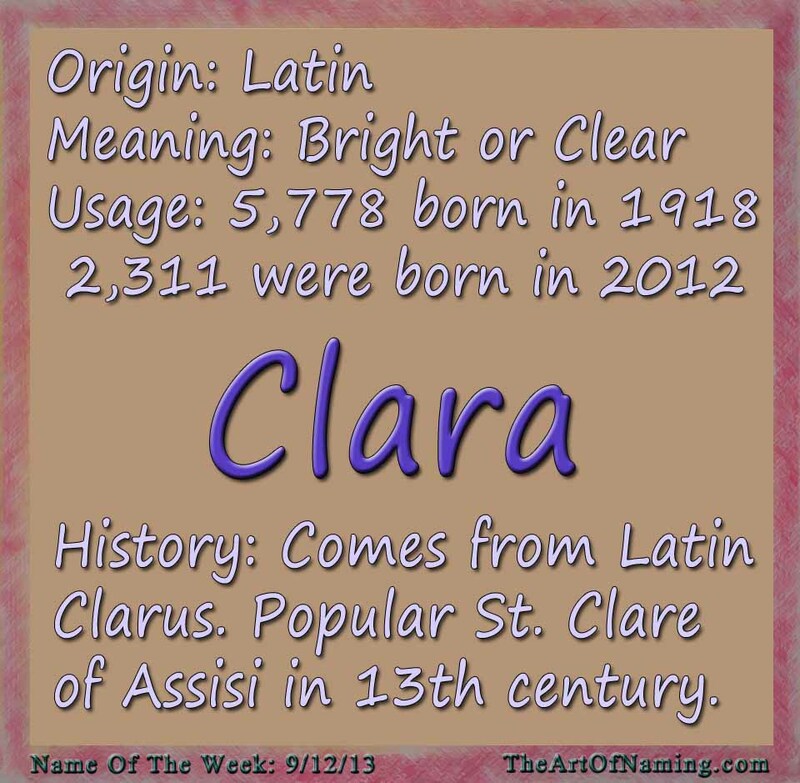 Clara is a Latin name that means "bright or clear." It originates as a feminine form of the Late Latin name Clarus which itself was the name of a few early saints. Saint Clare of Assisi made this name popular in the 13th century. She left her wealthy family to found the order of nuns called the Poor Clares. Clare was the most popular form through the middle ages, and Clara became hot in the 19th century. 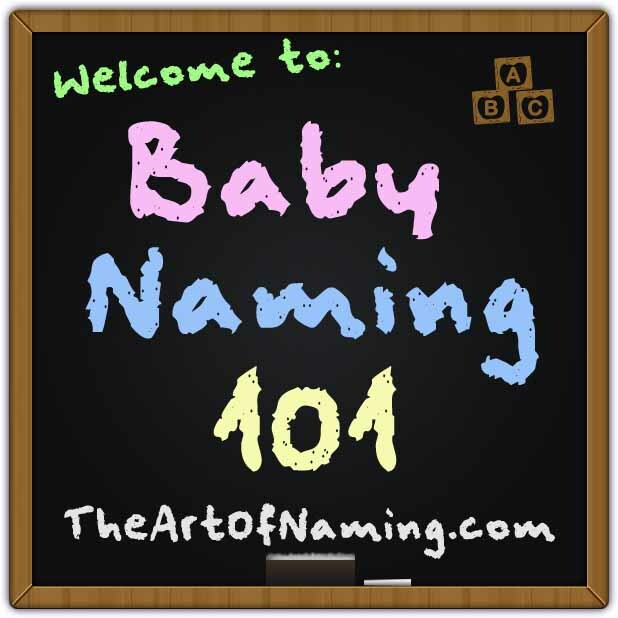 It has also been featured on my up-and-coming vintage names list according to the 100 year rule. It was most popular in 1918 when 5,778 baby girls were born! Somewhere around the 1950s, the name declined in usage. 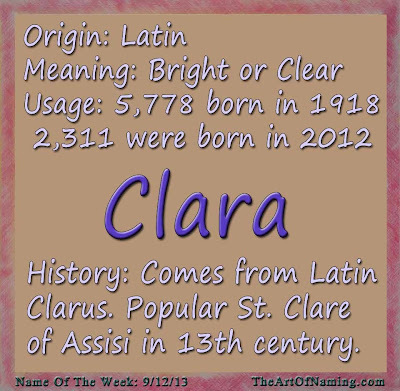 Around 2000, Clara began picking up steam again, hitting a modern high-rank of #136 with 2,311 births. In recent years, Claire has been the more popular sister, while Clara was very Olde World and European. Now that Clara is coming back into fashion with all of the other vintage chic names, I can only foresee her continuing to climb the charts over the next decade. 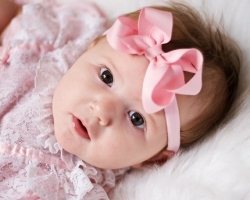 Clara is such an adorable and lovely name that she could be paired with a variety of names! What would you pair it with? Also, do you pronounce it Clarr-uh or Clare-uh? It is always fun to take a look at what kind of names are popular in other parts of the world. Sometimes, us American bloggers get so caught up writing about the Top US names that we forget to look around. In 2012, there were 82,164 live births in Switzerland. 39,729 were girls and 42,435 were boys. 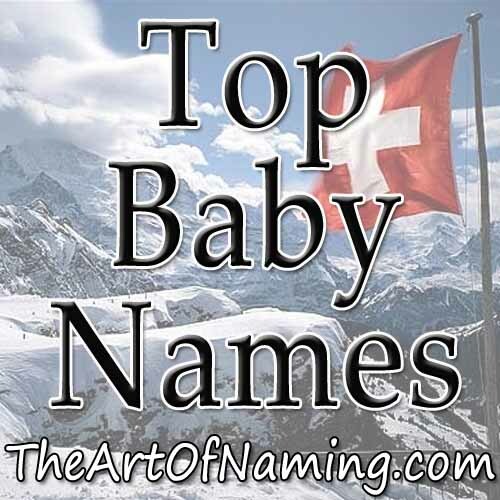 Below are the top names for the babies born to parents who speak French, German and Italian but live within Switzerland. It is so interesting that these names can come from one country and yet differ so greatly between the three languages. One thing is certain, they all tend to favor the "L" sound in many of these favorite names! Take a look at the top 16 names for each language! I think I would side with the French-Speaking list but they are all pretty great! Which do you like best? In the never-ending quest to be unique, some parents today think the best way to do that is to use "kreeaytiv" spellings. I'm going to flat-out say it: spelling a name incorrectly is not cute. Yes, I'm calling it "incorrect" not "creative." If you think I'm being harsh, I apologize, but I know that many of my fellow name-bloggers would back me up on this. Professor Kara is in the classroom. Ponder for a minute. What are you doing to your child? Yes, it might seem cute to see a baby named Braylynn or Kaedynn, but what happens when they grow up and need to apply for a professional job? There are people who argue that a name should have nothing to do with their intelligence and credentials for said job, but could you really imagine the President of the United States being named Aiedynn Kristhian Smith when Aidan Christian Smith would be so much nicer? Imagine 50-60 years from now when a whole new flock of babies are being born (hopefully with some really great vintage names, if this cranky old lady has a say), and the children of the 2010s are brand-new grandparents. "Let's go to Grandpa Leeum and Grandma Abygayle's house!" Liam and Abigail are wonderful names in and of themselves, but they're not so wonderful with those unnecessarily complicated spellings. Keep in mind that these are real spellings from real babies born in 2012. I'm not just making these up! While I understand that we are free to express ourselves any way we want through our children's names, I only wish it would be taken more seriously. Misspelling a name is not cute. It does not automatically make the child unique from his peers. Considering that names are used verbally so often, the "unique" Klohie really is no different than all of the girls named Chloe. The difference is that Klohie will have issues for the rest of her life having to spell it to everyone she meets, and all of the Chloes won't. Nope, sorry, I refuse to picture it! Personally, I'd rather be unique by finding names that are actually rarely used. Its even better when they have a history behind them and one or two standard spellings. I could go on and on. I'd much prefer these rarely used names to anything that has been tinkered with. Sophia will always be better than Sofeeya, even if it is the number one name in the country. Above all else, remember that babies grow up to become a wide variety of people. What seems cute at the time may totally clash with who they become. For an extreme example (and some giggles) could you imagine this man named Braxxtyn or Gavynn or Loukas? What do you think about this issue? Do you think it is fine that parents are running amok and refusing to use tried-and-true spellings? Do you think there should be some kind of baby-naming-movement that strongly, but lovingly, imposes correct spellings on new parents? Where do YOU draw the line? 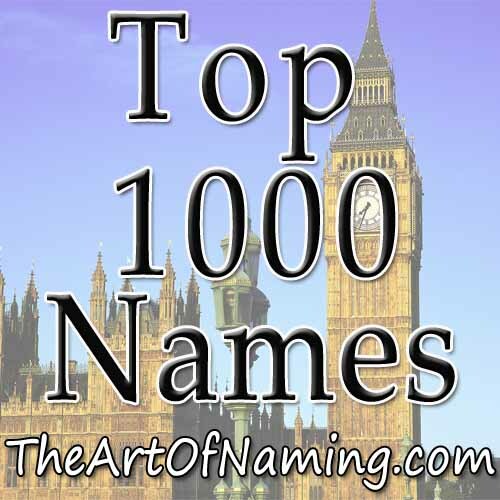 I decided to choose the Name of the Week from the Top 1000 baby names chart from England/Wales in 2012. My choice is #7, Alfie. 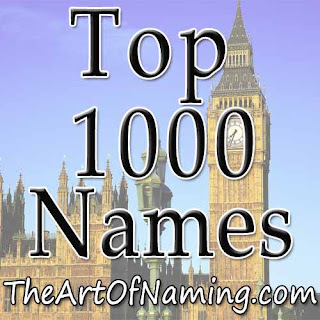 England is big on nickname names which basically means names that end with -ie and have a longer, "proper form" as well. In this case, Alfie comes from the name Alfred. 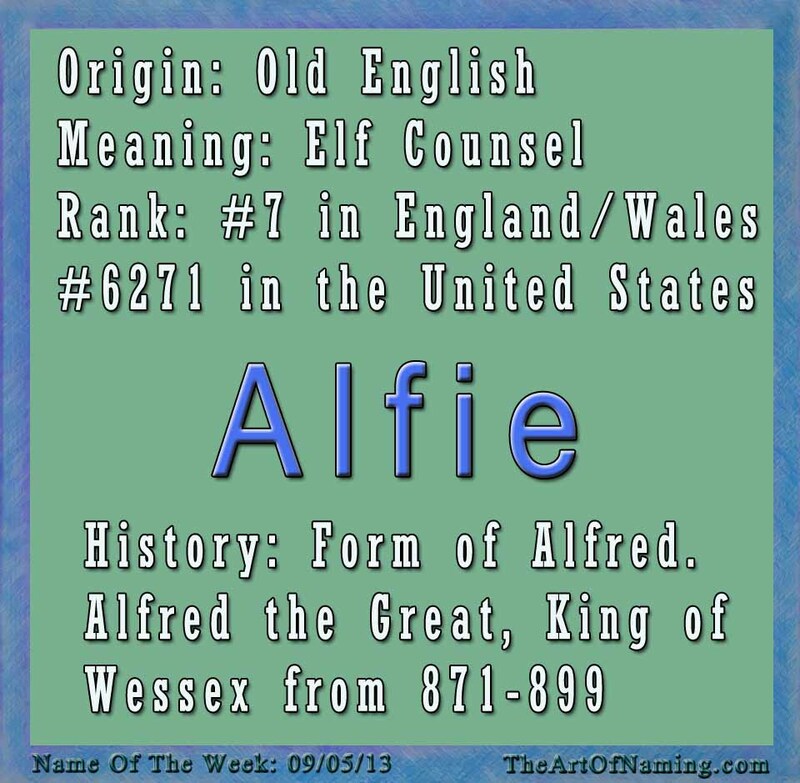 Derived from Old English, Alfred is composed of elements that mean "Elf Counsel". This name dates back as far as Alfred the Great in the 9th-century, and probably farther. He was the King of Wessex who notoriously fought against the Danes living in northeastern England. Beyond that, he was a scholar who translated many Latin books into Old English. The name Alfred became very rare by the end of the middle ages and wasn't revived until the 18th century. Another famous Alfred was Lord Tennyson, a British poet who lived from 1809-1892. Alfred peaked in usage in the US in 1928 when 6,244 baby boys were born, ranking the name at #33. Since then it has gone downhill. It seems to be in danger of falling off the top 1000 chart in the next couple years at the rate it is falling. It fell to #949 in 2012 with only 211 boys born. As for Alfie, it may be #7 in England, but here in the States, it is no where near the Top 1000. 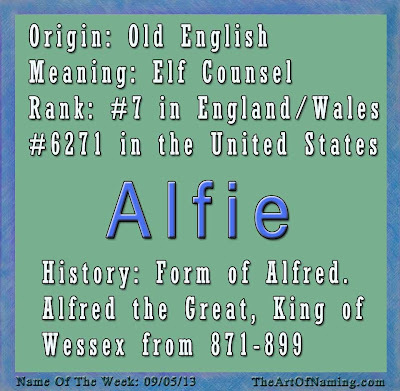 With a mere 13 births in 2012, Alfie ranks in at a very unpopular #6271. The name has always been sporadically used. There are no births on record for 2002-2005, and it is even worse before then, except for a slight peak from 1966-1978. Alfie first appeared in the US in 1917, but it was rarely used. 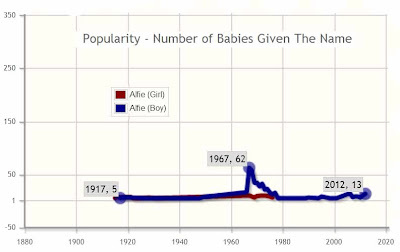 In fact, there were only 44 Alfie's born between 1917 and 1949, and none again until that peak in 1966. I would use the combo Alfie James because I think its adorable. Other ideas include Alfie Richmond, Alfie Theodore, Alfie Sebastian and Alfie Thomas. What do you think? Are you a fan of these nickname names? Let me know what you think in the comments below! 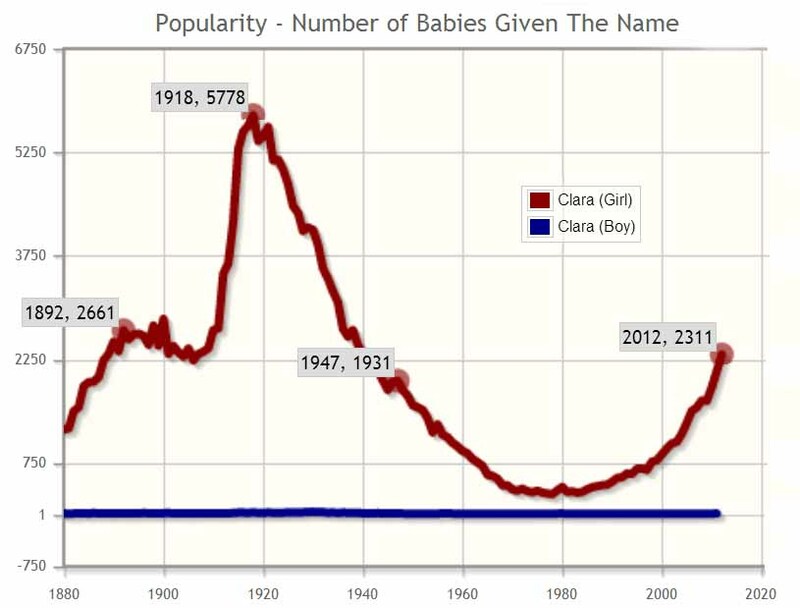 I am always fascinated by the top baby names in England/Wales too! Their population versus the population of the US is roughly 19:105. So to see such different numbers is fascinating. But even more interesting than the math is the completely different style of names that the Brits prefer. Source.